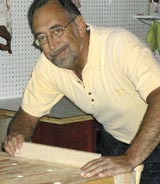 After cutting out the basic parts for the new Mobile Sanding Center cabinet, the next step was to make dadoes. Of course you can set up a dado blade in a table saw and cut all the required grooves, rabbets, and dadoes, but I chose to do it with a combination of a track-guided router and my router table. The video "Mobile Sanding Center Part 3," available on Highland Woodworking's YouTube channel shows how I set up to make the cuts. 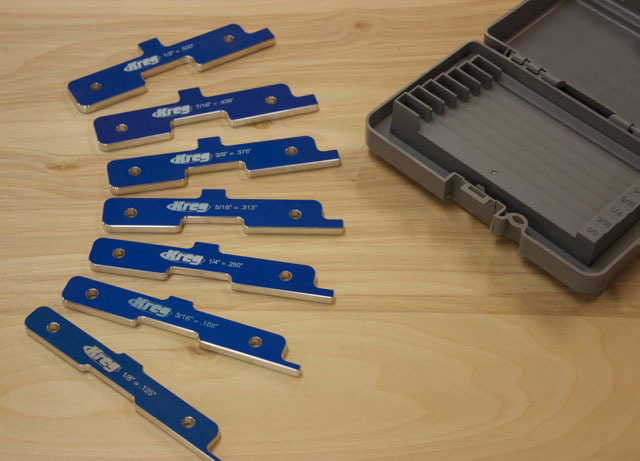 It was during the set-up process that I started to use Kreg's newest (at least to me) handy gadget, their set of seven "Precision Router Table Set-Up Bars." Nested in a fitted plastic storage box, the set-up bars come in seven sizes, 1/8", 3/16", 1/4", 5/16", 3/8", 7/16", and 1/2". My first recommendation to Kreg is to change the name… the name implies a limited functionality, and that is far from the truth. These set-up bars have become one of my favorite measuring tools and I routinely use them now not just at the router table, but also at the table saw, with plunge routers, at my drill press, and even a couple of times at my miter saw. The Kreg set-up bars are unique in that each has an inset, a protrusion, and a tongue that are sized and positioned to afford maximum utility. The inset portion of the bar, for example, can be used to set router bit height at the router table, saw blade height at the table saw, and even to gauge the depth of dowels you are gluing into slightly over-deep dowel holes. I routinely use the inset portion of the set-up bars to mark and attach a stop-collar or a piece of tape on a drill bit when hand drilling to a prescribed depth. The protrusion, opposite the inset, is perfect for checking the depth of a dado or groove (as I did with the mobile sanding center project) but is also useful for checking the depth of drilled holes or mortises. 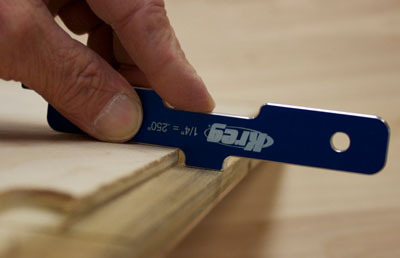 The tongue, which can be slipped between things to measure offsets and distances very accurately, can be used to easily and quickly set the depth of cut on a plunge router. Simply "zero" the bit to the work surface, raise the depth stop bar, slide in the appropriate size Kreg set-up bar, drop the depth stop bar and tighten in place. The resultant depth of cut will match the bar size used, and will be dead-on accurate. Speaking of accurate, a check with a digital caliper confirmed the set-up bars to be accurate way beyond my needs. The 1/8", 3/16", 5/16", 3/8", and 7/16" bars were spot-on to the fourth decimal place. The 1/2" bar was 5/10,000" over and the 1/4" bar was 1/1,000" undersize. There is certainly nothing I do in my shop that would be impacted by a deviation measured in thousandths or ten-thousandths! Each bar is nicely labeled with the fractional size and its decimal equivalent, i.e. "1/4" = .250". For us aspiring (and struggling) metric system converts, please add the equivalent metric measurement to the next run. It will help us all become more immersed and fluent in the metric system. 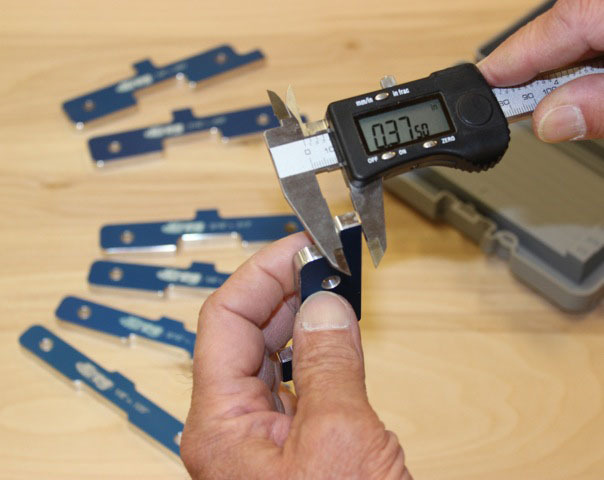 For example, the 3/8" set-up bar might bear the label "3/8" = .375 (9.525mm)." Each bar has two holes, the function or purpose of which eludes me. Perhaps someone thought to hang the set-up bars from a peg hook, rather than use the fitted case. If these holes were made to match each size of set-up bar, i.e. the 1/4" set up bar had a 1/4" diameter hole, I would find that very handy to identify an unmarked drill bit, select a dowel, or determine the clearance hole size for a specific screw. Broaden the scope and the potential audience and rename these set-up bars what they really are – "Universal." Anyway, the name "Kreg Universal Precision Set-Up Bars" just sort of rolls right off the tongue! 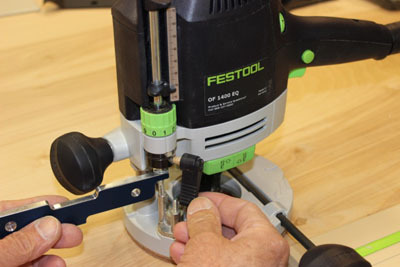 Kreg brought sophisticated pocket hole joinery to the masses, hit a home run with their affordable shelf pin drilling jig, taught us a better way to build decks, and now for a mere $45 has given us a new and innovative way to achieve reliable, repeatable tool and jig set-ups quickly and easily… Kreg has produced another winner. Next Month in The Down To Earth Woodworker: In a couple of weeks we will release Part 4 of the Mobile Sanding Center video showing the glue-up. Then in next month's column and the accompanying video we will build and install the drawers (can I figure out a way to cut neat box joints in plywood?) and attend to a few other construction details. Also next month: a few tips and lessons I learned about "speed building" --- for those times when a project just has to be finished quickly!